← Maxi Dresses: Love ‘Em or Hate ‘Em? Giveaway Promote, along with a ton of other blogs, is currently throwing a HUGE giveaway event! 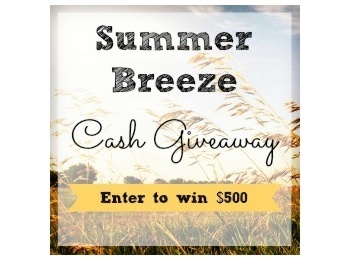 Open until August 4, 2013, this contest allows users worldwide to enter to win $500 in cash! Through simple Rafflecopter entries (liking Facebook pages, following Twitter accounts, Pinterest pages, Instagram feeds, etc. ), people can climb their way to the top of the entry ladder to increase their chances to win! This is already a high-entry giveaway of course, but I encourage you all to go check out the giveaway here and enter now! 3. Going on a shopping spree at places like Forever 21, Charlotte Russe, and Papaya (where you can go bananas with $500). Be sure to comment and let me know what you’d do with $500 cash this summer!